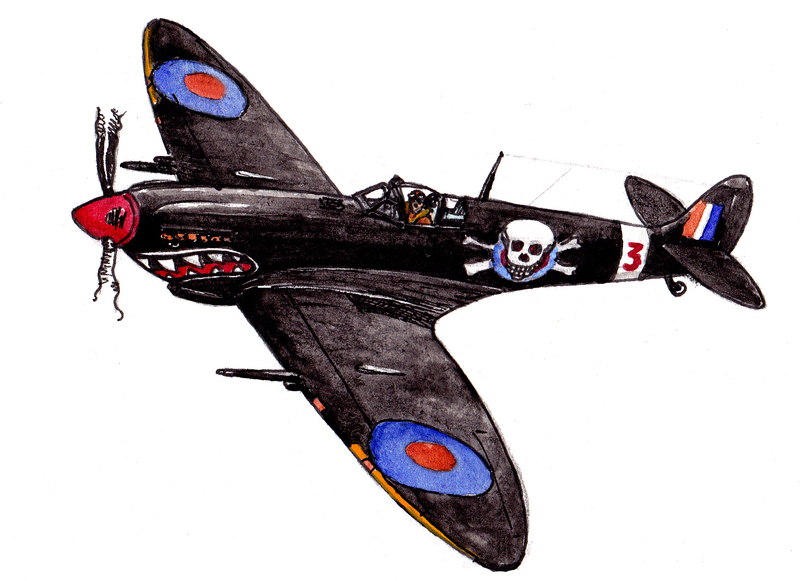 One of the hardest aeroplanes to draw well is the Spitfire. We turned to WestlandWyvernophile and aeroplane drawerer par excellence Ted Ward to show us the way. “Don’t bother, they’re impossibly difficult, that’s my advice. Actually, although everyone always goes on about the wings, beautiful though they are, they are not an overly complicated shape to render convincingly. The main stumbling block in my opinion is the fin and rudder on the early models. It’s a really odd shape. Griffon marks are easier to draw. To be fair virtually everything is wrong with that image but dihedral is one of those things. 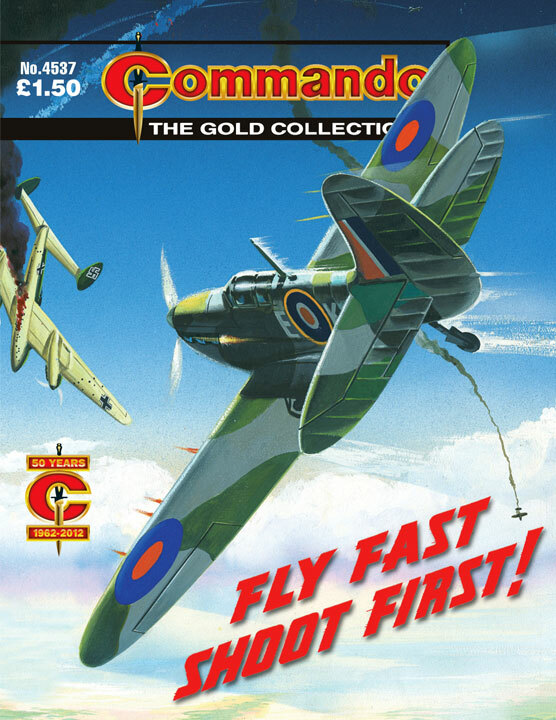 However one of the Fleetway artists (no idea of name – they never get credited) drew some of the most consistently pleasing Spitfire drawings I have ever seen. Perhaps the most useful resource I have for you though is Frank Wootton’s splendid little 1941 volume How to Draw ‘Planes. 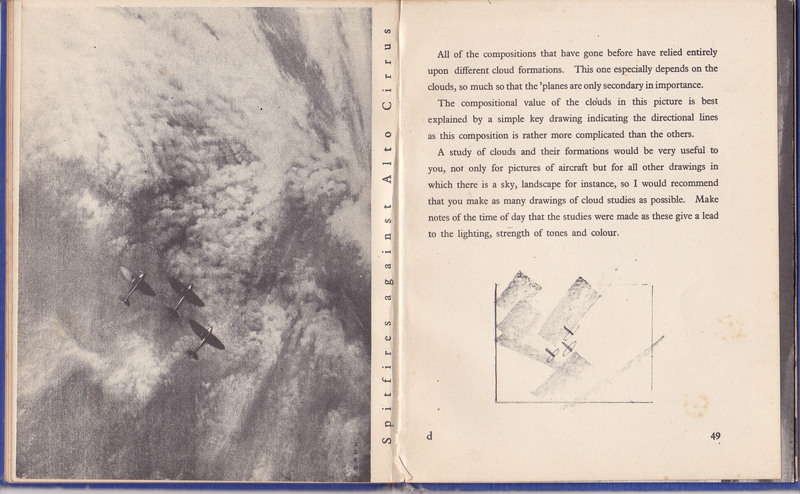 Scans depict how to draw a Spitfire. And ‘Spitfires against Alto-Cirrus’ which is a painting. No idea where this painting might actually be though. Furthermore I contend that it is a lot more difficult to draw alto-cirrus than any aircraft from the 1939-45 period.